Established in 2007, the casino offers a wide range of games not limited to typical online casinos because it also has sports betting. The casino operator is owned by Rank Leisure Holdings Ltd. With more than a decade of experience, it has secured by dual licence from the UK Gambling Commission and the Alderney Gambling Control Commission. It does not only operate online gambling sites as it has the physical presence in its land-based casinos. Overall, it operates 55 physical sites. 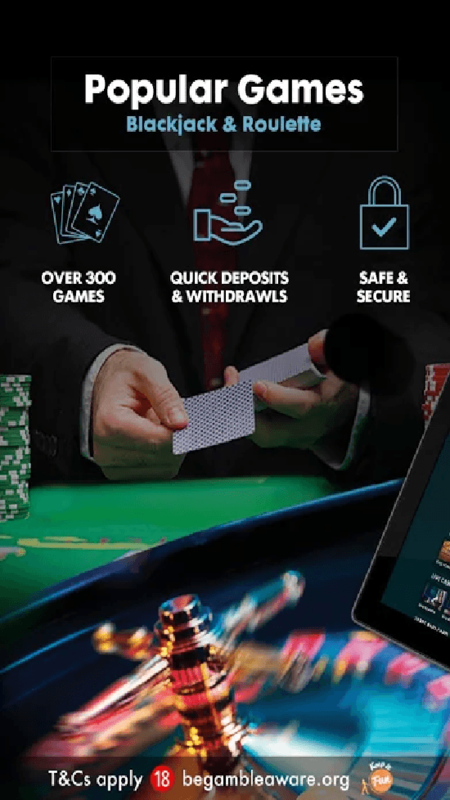 Grosvenor Casinos app is available on both Android on iOS. It provides a personalized gaming experience since you can toggle your own settings and configuration. To download, simply go to Google Play or iTunes and look for Grosvenor Casino. Install it as you would normally do with any application. All of its games are compatible on any device that has a browser, including an iPhone. This makes for a fast online experience because if you want to play instantly. 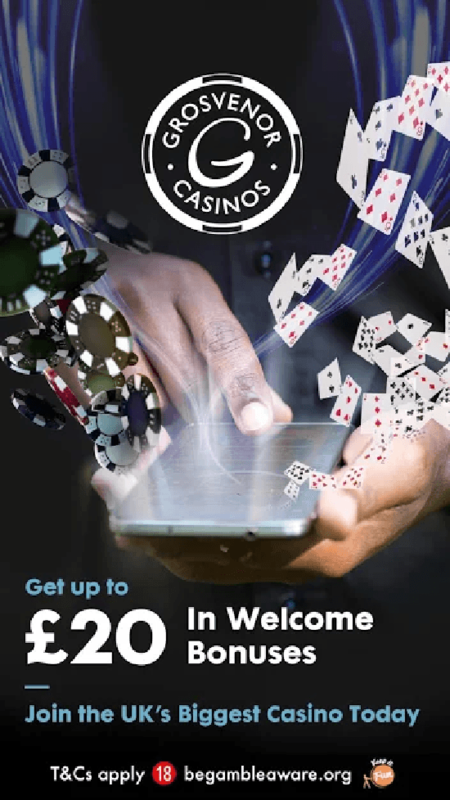 There really is no need to download Grosvenor Casinos app if you want to access it via a browser. Just go to the main website, log in, and play for real money. Finding games is easy. The Grosvenor Casinos application was designed to have all the games under specific categories. Players can navigate through their favourite games quickly. Below are the categories. Live Casino – this area is divided into several lobbies. You can further filter the games based on your preferred game. There are live dealers for roulette, blackjack, baccarat, and poker. This lobby also has exclusive games that you will never find elsewhere. Slots and Games – this lobby houses Grosvenor Casinos mobile slots. You can filter by featured slots, new ones, and In Club only. There are over 200 slots here, and all of them are available on demo play. 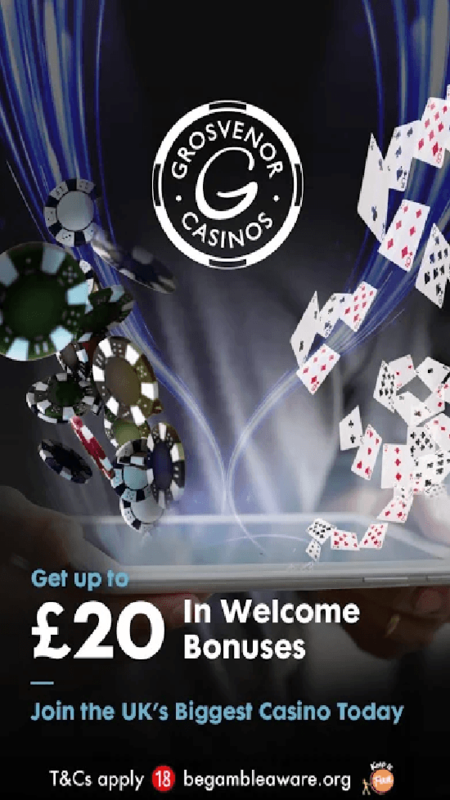 You do not need a Grosvenor Casinos app for android to be able to play on your phone. 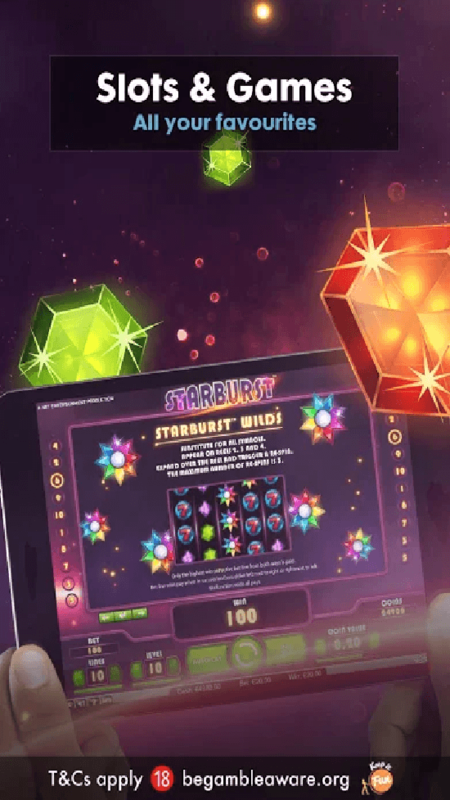 Launch it from a browser, click the button for the game you want to try, and play instantly. Jackpots – this area is where you will find all slots that have daily jackpots, jackpot king, and mega jackpots. Table and Card – if you are a fan of poker, baccarat, roulette, and blackjack, go to this area. There are 20 games here that you can choose from. 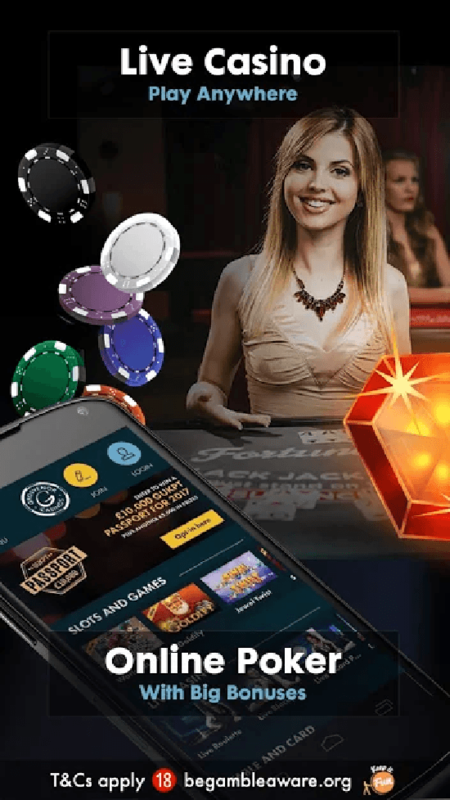 Poker – you need to download and install this application before you can play. It will allow you to play against other payers and compete in tournaments. This lobby also has a different set of promotions. Sport – fans of sports betting can choose from a wide selection of sports. There are also multiple variations of betting. Examples of games that you can bet on are tennis, horse racing, football, cricket, rugby league, motorsports, and greyhounds racing. 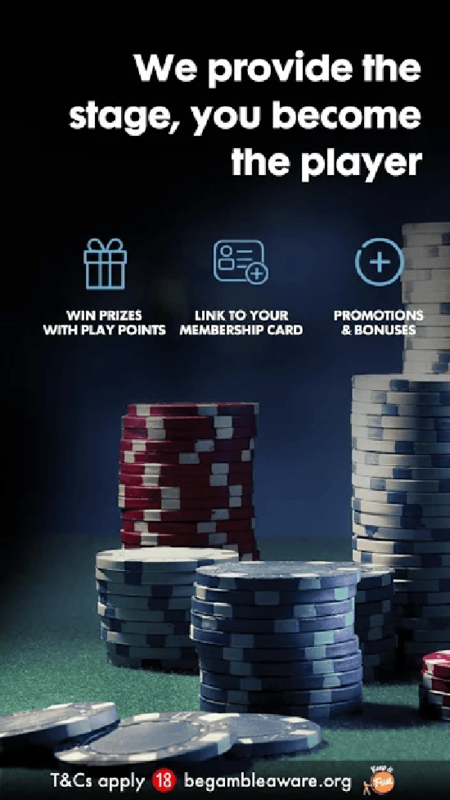 The Grosvenor Casinos mobile site shows 15 different promotions. There is something for new and regular customers and the promotions are balanced to cater to the needs of different gamblers. Let us take a look at some of these offers. 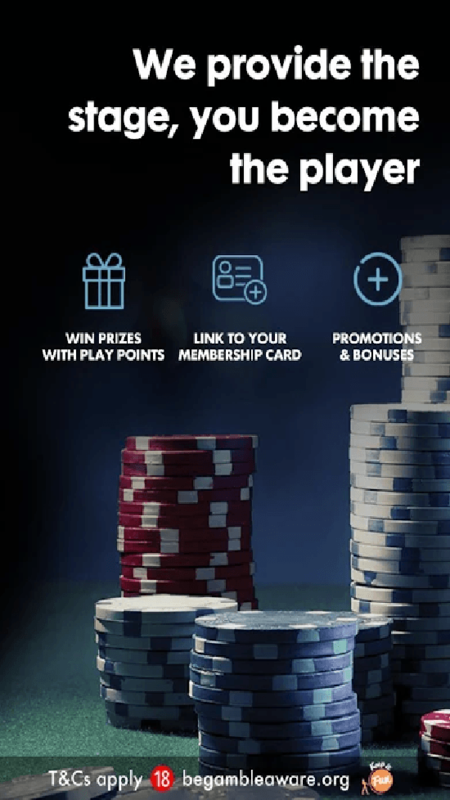 £20 Welcome Bonus – this promotion is for new players only. Before you can claim it, you must create an account and go to the Grosvenor Casinos mobile login Deposit £20 to get the bonus. Only one bonus is allowed per IP address. It is also subject to a wagering requirement of 5X the bonus amount. If you decide to withdraw the cash you deposited without meeting this requirement, the casino will forfeit all of it. £200 Welcome Offer – this offer is exclusive to existing members, and it is a version of the welcome bonus. The first thing to do is to sign up for an account and then avail the welcome bonus (not the Welcome Offer). On your second deposit of £20, the casino will match your £20 with another £80. Your third deposit of £20 will have a matchup of £100. Overall, you need to deposit £60 to get this Welcome Offer. This is subject to 5X wagering requirement. The bonuses mentioned earlier are all capped at that amount. You cannot exceed receiving those values. Jackpots – the casino offers various jackpot games on a daily basis, including progressive ones that are tied to a network. 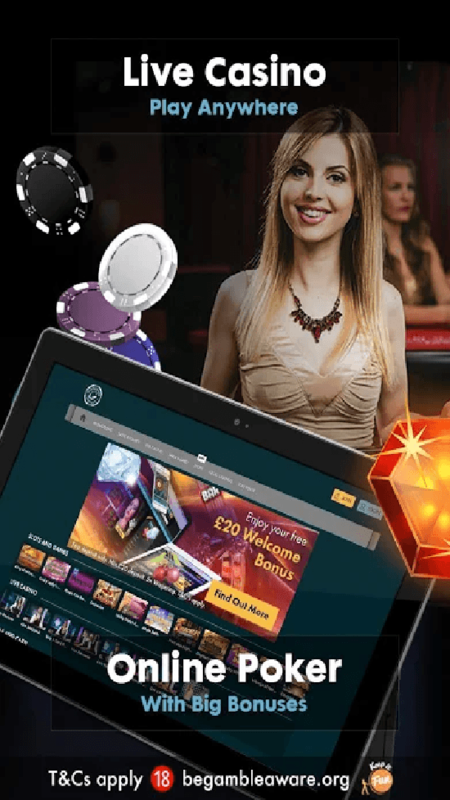 Stake £50 Get £5 On Live Casino – in this promotion, Grosvenor Casinos mobile will give back £5 to you if you stake £50. There is no deposit required. You must opt-in to be able to participate. You can only avail of this cash back once per day and only live dealer games qualify. The promotion is only open to residents of England, Scotland and Wales. 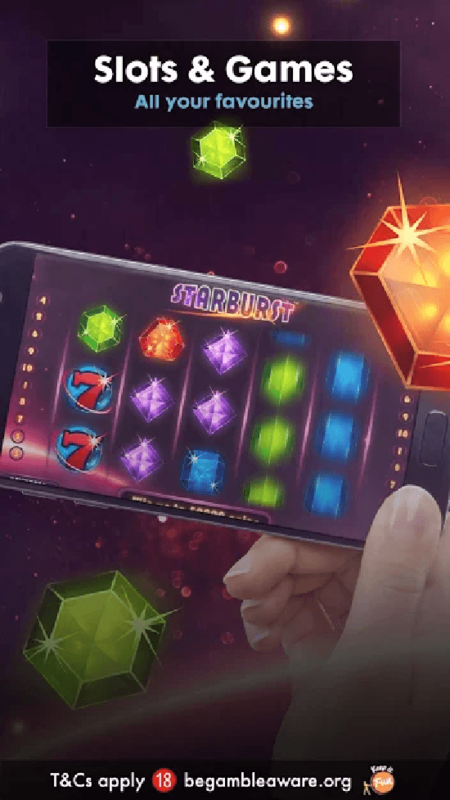 Game of the Week – despite the absence of Grosvenor Casinos mobile app, you can participate here for as long as you can access the game on a browser, including a tablet or a smartphone. A game is featured per week and the casino will give you back £5 if you stake £30. You can only claim this once a day and the cashback can only be wagered on the same game. This bonus is non-withdrawable and has a wagering requirement of 20X. The minimum deposit amount is £5. You can initiate this by going to the Grosvenor Casinos mobile sign in. All deposits are instant. For withdrawals, the minimum is £10, and the maximum is £15,000. You must call customer support if you want to withdraw more than this. The withdrawal screen will prompt you to do this. All withdrawals are put on hold for 24 hours for the verification. You may be required to submit documents proving your identity. Once you are all set, the withdrawal can take anywhere between three and five days, even if the withdrawal method is an e-wallet. The casino uses only the top tier security systems. To date, its systems are at par with financial institutions through its SSL encryption. All transmitted data will go through this system and only the casino’s software can encode and decode this information. 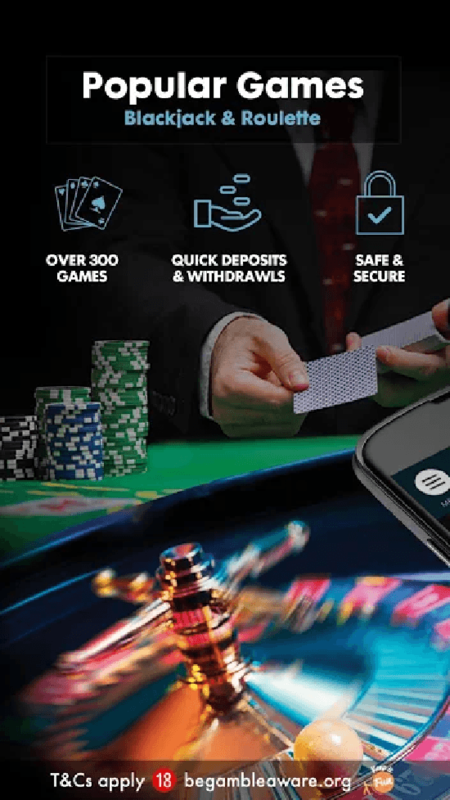 And since it has a dual licence, gamblers are guaranteed that the operator maintains high standards of safety, fairness, and security to maintain its licences. Its tenure is a huge factor in how the casino has evolved over the years. Add to that the fact that it operates dozens of land-based casinos and you get a formidable player in the industry. One good thing to mention is that there is no need for a dedicated Grosvenor Casinos android or iOS application. The graphics are great and yet the developers do not have to worry about creating a Grosvenor Casinos APK. All the games are accessible for as long as the player has a stable internet connection and a modern phone.